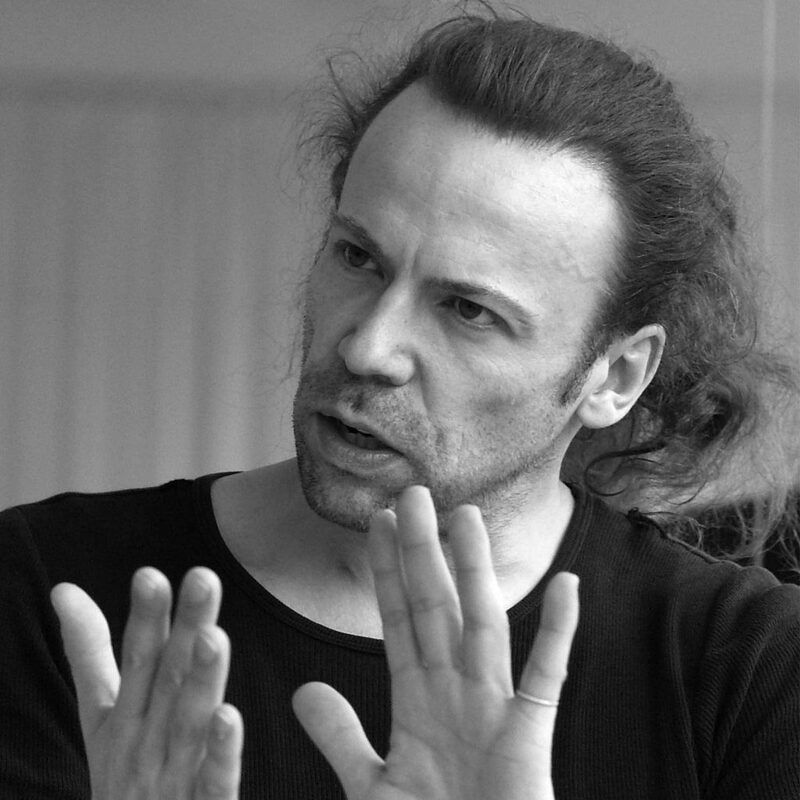 Born into a family of actors, Étienne Frey is a Swiss dancer, choreographer and pedagogue. He accomplished studies in classical dance in Stuttgart and Antwerp, then went on to attend the School of American Ballet under the direction of Georges Balanchine in New York. On completion of his studies, he danced with the Royal Ballet of Flanders, the Ballet du XXème Siècle in Brussels, founded and run by Maurice Béjart, and later became a soloist with the Balletto di Toscana. In 1984, he founded Sinopia Ensemble de Danse – a contemporary dance company based in Switzerland – for which he created more than 50 pieces, performed worldwide for over 18 years. Over the course of his career, he has won numerous major dance and choreographic competitions, amongst which: First prize in 1984 at the Nyon Competition in Switzerland Prix du Jury and Prix du Public at the Rencontres de Vaison-la-Romaine in 1986, Gold Medallist at the Serge Lifar International Choreography Competition in 1996, Gold Medallist and Prize of the City of Havana at the Alicia Alonso International Competition in 1997, Lotus Prize of Choreography in 1998, Nijinsky Prize in 2001. Etienne Frey works in cinema, television and has choreographed, amongst others, La Bayadère for the Ballet du Grand Théâtre de Genève, Zorba at the Kongresshaus in Zurich, Face to Face, a project for the UNFPA in New York, Hasta la ternura siempre! for the Ballet Teatro del Espacio in Mexico, Shakespeare’s A Midsummer Night’s Dream for the Slovak National Theatre, Semeurs d’Etoiles for the Fondation pour l’Amour de la Danse in Switzerland, as well as The Wizard of Oz, The little Mermaid and Seeking Ulysses for Dance Area in Geneva. More recently, he created La Valse in Rijeka for the Ballet Company of the Croatian National Opera House, Carpe Diem – Cueille le jour ! for the 38th World Congress on Dance Research organised in Tokyo under the patronage of CID-Unesco and in March 2018, Semeurs d’Etoiles II for the Fondation pour l’Amour de la Danse. As an expert certified by the Swiss government, Étienne Frey is involved as a consultant in the work of a number of professional associations in Switzerland. He has also been accredited as a dance teacher at the Centre National de la Danse in Paris since 2011. He is a member of the International Dance Council of Unesco. Between his regular activities as teacher and his choreographic work, he continues his research into the relationships between the body in movement, language and the brain and, for this purpose, takes part in a variety of studies in the field of neuroscience. 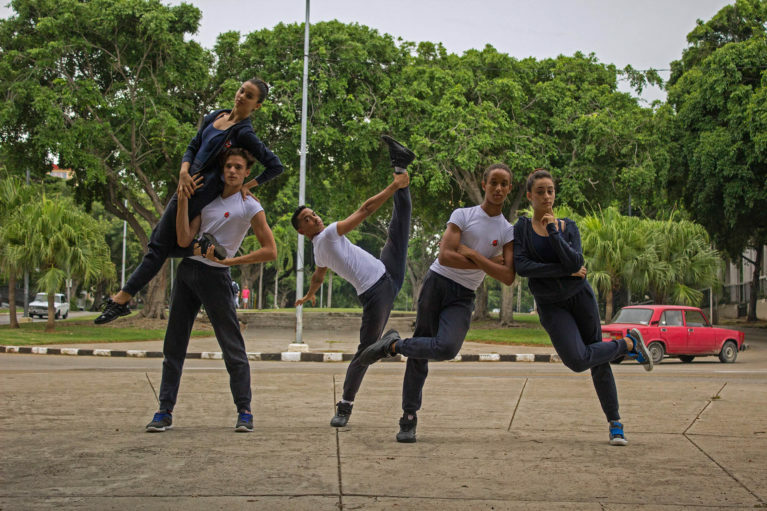 He also contributes to the projects of humanitarian organisations and private foundations intended to give the youth in less-favoured areas the benefits of dance and corporeal awareness. The approach combines physical and psychological aspects so as to promote a better quality of life in modern society.